Video gambling may not have been the budget patch which Illinois lawmakers hoped for at the time when they favored the addition of video gambling services in 2012, but this particular gambling activity has brought fresh winnings to Grundy County municipalities. 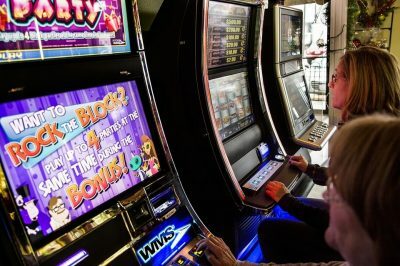 According to the most recent data for the twelve months ending in February 2019, video gambling terminals (VGTs) have generated over $273,000 for the city of Morris. For the time being, there are 25 establishments which offer a total of 105 machines to city voters. Richard Kopczick, the Mayor of Morris, in fact, revealed that at the time when video gambling was introduced in the city, the authorities had no idea how this type of gambling would perform. The number of establishments offering VGTs has remained pretty much unchanged over the years after the implementation of the activity, but the total municipal share generated by the terminals has increased on an annual basis in Morris. According to the owner of one of the establishments offering VGTs in Morris, Carson’s Tap House, this type of gambling fits the environment and has been nothing but positive for the business ever since gaming was legalized in March 2017. Mr. Nelson explained that the combination between a valid liquor license, which is required for adding VGTs at the establishments across the city, and gaming license seems like “a natural combination”. He further noted that the addition of the machines has helped his business remain viable. The amount wagered by Carson’s visitors in the establishment’s video gambling terminals in the twelve months ending in February 2019 is estimated to more than $2.5 million. 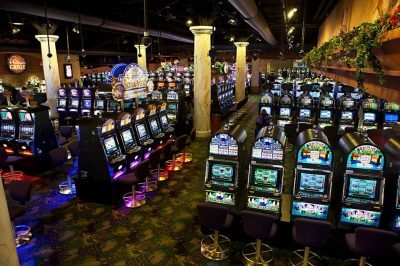 Reportedly, Morris residents spent over $65 million on video gambling terminals in the twelve months to February this year. Both the state of Illinois and the local municipalities have been getting fresh tax money from the tax imposed on the terminals. Currently, there is a 30% tax on the income from each machine. Most of the VGT tax revenue – about 83% – is obtained by the state, and the remainder is distributed to each municipality. As far as the city of Morris is concerned, Mayor Kopczick revealed that the fresh cash influx has allowed the city to make some capital purchases, including large vehicles (street sweepers and specialized trucks) which it was unable to afford at the time of the 2008 recession and the years after. He also confirmed that the addition of video gambling terminals has been beneficial to the local establishments holding liquor licenses as they were seriously affected by the recession. According to him, VGTs have been helpful for such businesses, allowing them to keep their viability thanks to the fresh revenue inflow generated as a result of the machines’ addition.